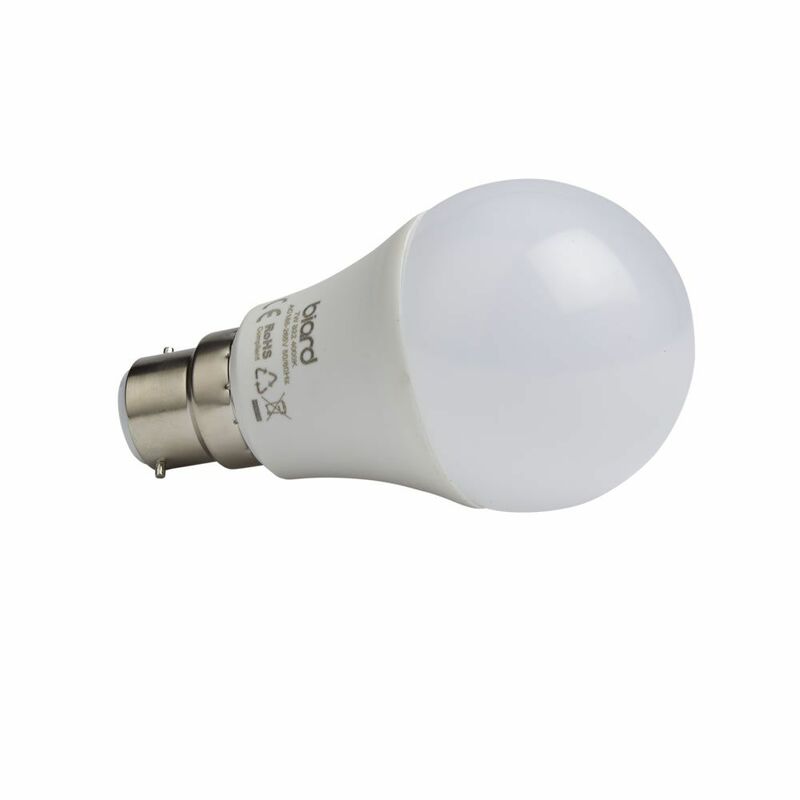 High-quality 7W LED B22 dimmable bayonet bulb. Ideal for pairing with a dimmer switch for soft ambient lighting. Designed to provide balanced, energy-efficient lighting with low running costs. Frosted finish to diffuse the light output. 80% more efficient than halogen or incandescent lighting. Offering a fantastic 25,000 hour lifespan. Projecting light at a wide 270° beam angle. 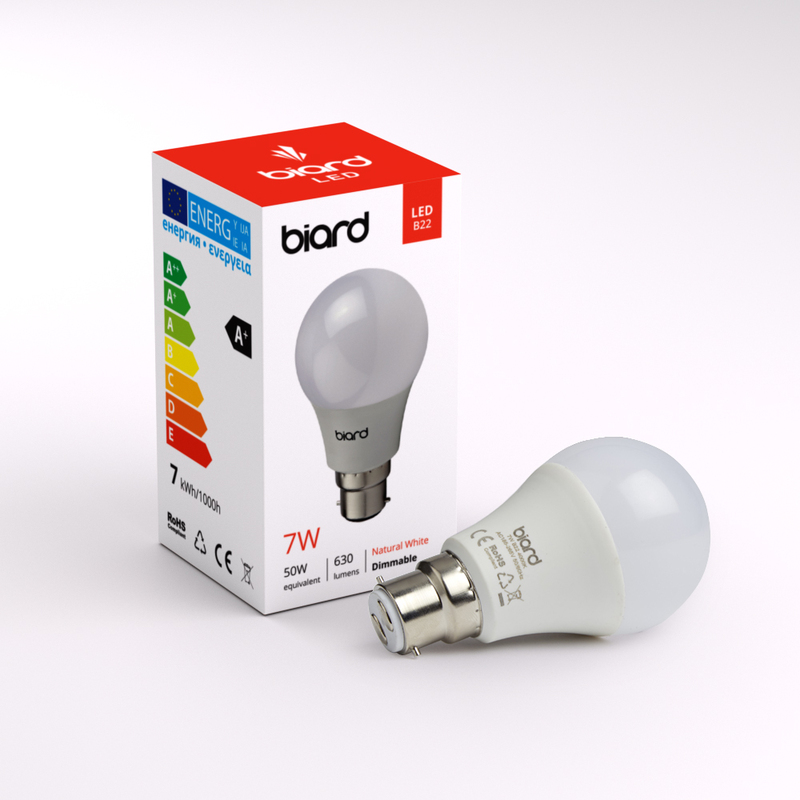 CRI 80 rated to ensure a high-quality light and colour rendering ability.